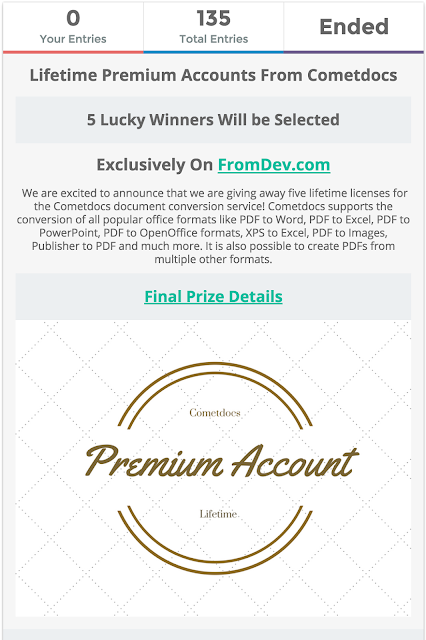 We are excited to announce that we are giving away five lifetime licenses for the Cometdocs document conversion service! 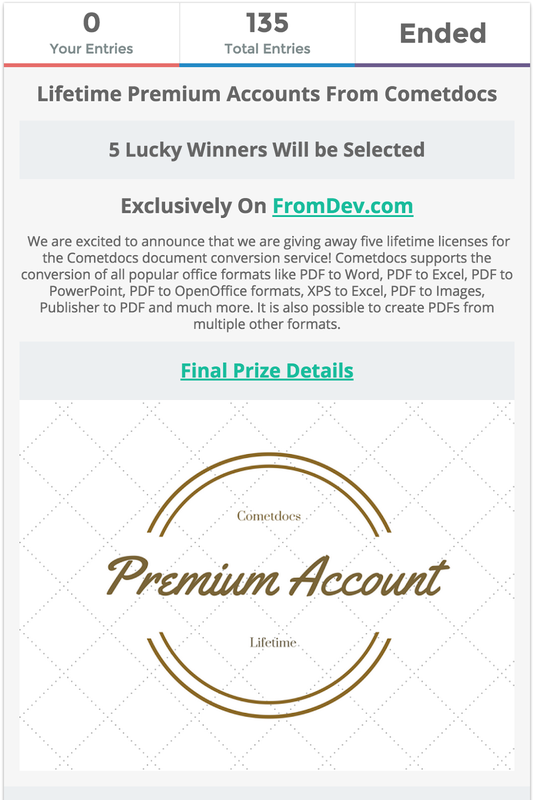 Cometdocs supports the conversion of all popular office formats like PDF to Word, PDF to Excel, PDF to PowerPoint, PDF to OpenOffice formats, XPS to Excel, PDF to Images, Publisher to PDF and much more. It is also possible to create PDFs from multiple other formats. 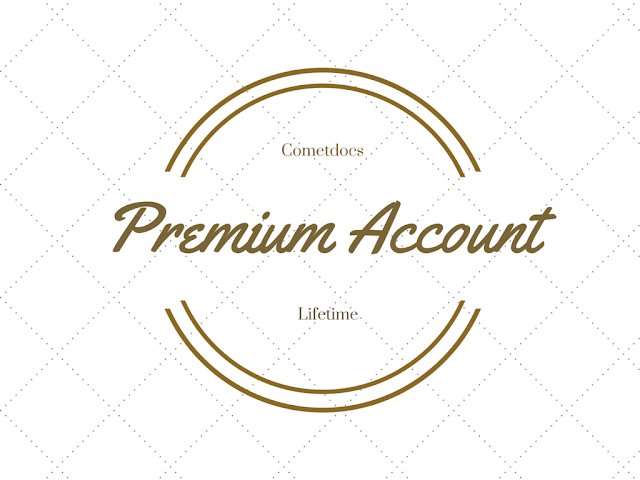 What Does The Premium Account Offer? One of the advantages of the Cometdocs online conversion service is that it can be accessed in various ways. 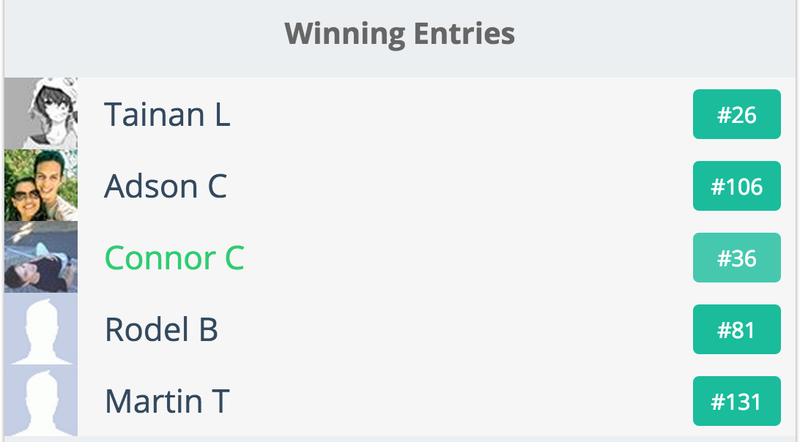 It can be used through a desktop app, google extension, or web app. Below you’ll find instructions on how to access Cometdocs through each of these. After installation, you can access it directly from the right click menu on your Windows computer, simply right click on the file and choose the conversion format. The newly converted file will be downloaded right into the same folder as the original. The conversion and download is done automatically so while your files are converting, you can continue doing other work. Basically, only one click is needed in order to get the converted file. 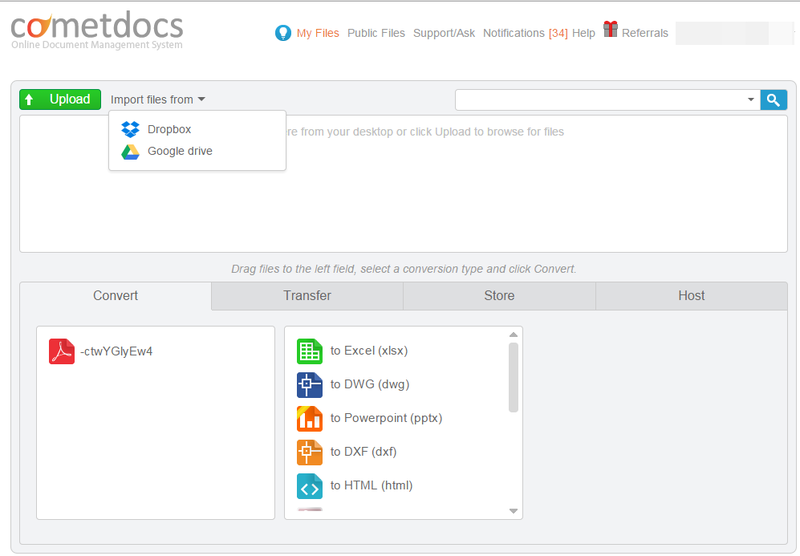 Users who use Google Drive to manage and share their documents will be amazed to learn that they can use the Cometdocs extension to convert files right from within Google Drive. 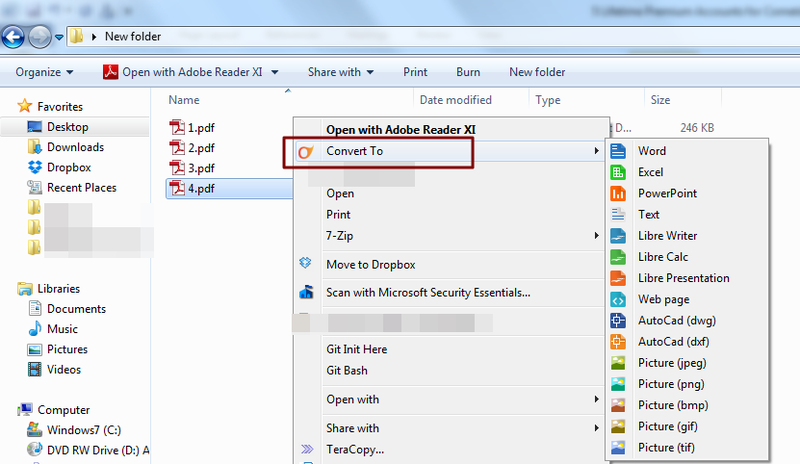 After installing the extension from the Chrome browser, you only need to right click on the file that you want converted and then choose PDF Converter. If you are converting from PDF, choose the conversion format. If you are creating a PDF, there are no further steps. However, keep in mind that this extension does not support conversion from native Google formats into PDF. It only supports the creation from Microsoft Office formats into PDF, along with Images and Text. The Cometdocs web app can be accessed from any browser by going directly to their web app page. 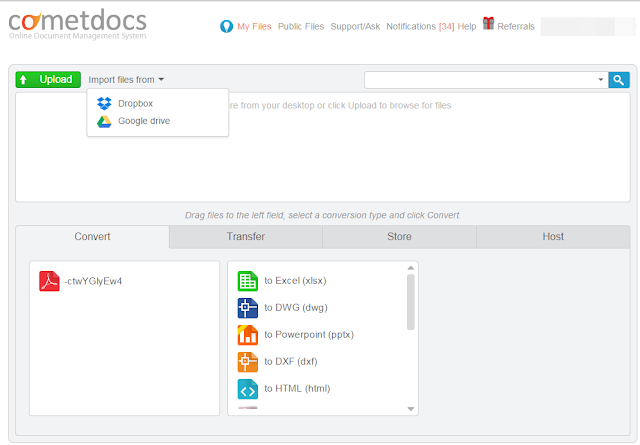 After logging in, you will be able to convert documents by directly uploading them and choosing the desired conversion format.